Great quality product. 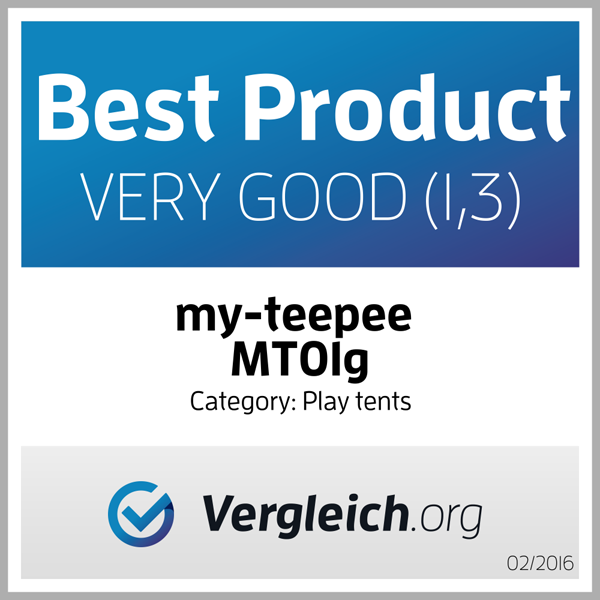 my-teepee play-tent blue-grey 5 from 5 Great quality product. Excellent quality, provides hours of fun and can be used indoors and out in the garden. Very nice Teepee set, my son loves playing in his teepee and reading books sat in it! Looks lovely in his bedroom and not to big.